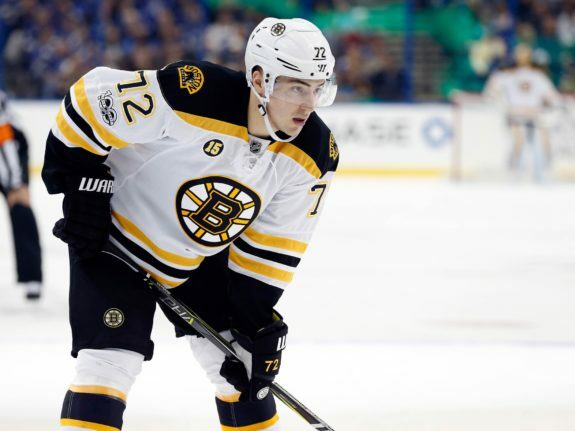 It has been almost a month since the Boston Bruins traded Frank Vatrano to the Florida Panthers for a 2018 third-round draft pick. Although this deal was a small one, it could end up having an impact on the Bruins moving forward. Vatrano was a healthy scratch for the majority of the season but there is always a risk when trading young talent away. He is still developing at a young age, so a change of scenery could spark his game. This trade will not impact the starting lineup but the Bruins did lose a depth piece for their playoff run, though a few deadline deals brought in temporary replacements. Vatrano’s is a player who needs to be in the top-nine to be effective. With the Bruins having so much talent this year, he was simply out of the loop. Landing a third-round pick for Vatrano was a bit surprising. With his dip in statistics this year and lack of playing time, his value could have been lower. Yet, the Bruins managed to land a fairly decent pick for someone who was often on the bench. The pick also replaces the one they gave up in the Nick Holden deal. 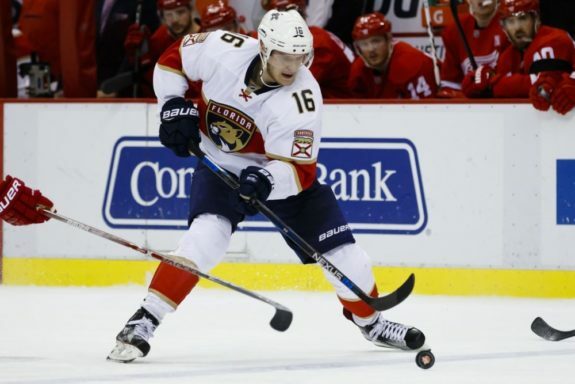 There is no question that the Florida Panthers have landed themselves a very talented young player. When Vatrano was on his game, he was one of their most dangerous snipers. His rookie season with the club showed this when he would have spurts of pure dominance. However, for Vatrano to develop into a consistently productive NHL player, he needs to work on his defensive game. This and his lack of scoring made him expendable. With the Panthers in a rebuilding phase, Vatrano now has the chance to thrive. They made a plethora of questionable trades this off-season that created holes in their top-six. If Vatrano makes an impact during the rest of the season, there is a solid chance that he will have the opportunity to secure big minutes. The Panthers have two effective centers in Aleksander Barkov and Vincent Trocheck who can help Vatrano thrive. This is a brand new start for the youngster, but he will need to continue improving his game at all ends of the ice. The Bruins recognize that they gave up on a player who has potential, but there is still plenty of work that needs to be done. How much Vatrano improves with the Panthers is now in his hands. 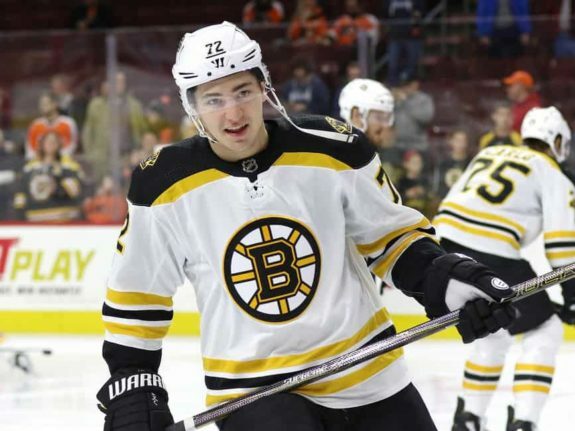 Will the Bruins Regret Trading Vatrano? The Bruins made a pretty significant gamble with this trade but they ultimately had to. They were getting nothing from Vatrano by keeping him in the press box. With the playoffs right around the corner, they could not afford a drop in morale from him either. 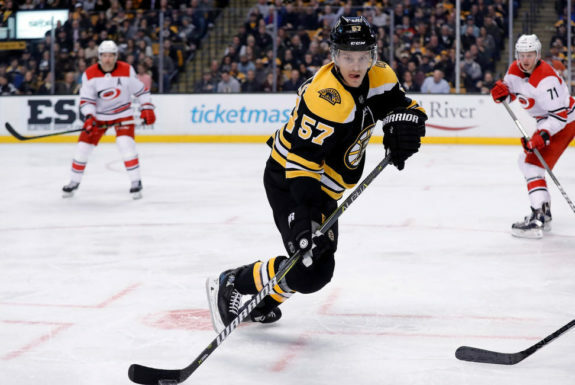 He was right to be frustrated by his lack of playing time considering, before this rough season, he had been a mainstay in the Bruins’ lineup. Although he struggled this year, he was never played in the top-six. Instead, he was on the fourth-line, playing on his off wing. None of it means the Bruins will not regret trading him. If Vatrano is successful and becomes the player he was once blossoming into, this will be a bad deal. The long-term repercussions are a bit alarming, especially when you look at the Bruins’ history of trading young players. Management was in a tough position here. It was smart to make this trade since they obtained more in return for Vatrano than expected. Still, the Panthers could be a perfect fit for him. With their lack of forward depth, it is likely that he will play big minutes and all it will take is a bit of development and a hot streak for Vatrano to make their top-six. He already showed his offensive upside in his first game with the club. The Bruins were very active this trade deadline and were able to score a very talented winger in Rick Nash. Nash is playing in the Bruins’ top-six, so he is not Vatrano’s replacement. However, management also added two veteran wingers for their playoff run in Tommy Wingels and Brian Gionta. They may only be rental players but they are also seasoned veterans. Wingels only cost the Bruins a conditional fifth-round pick and Gionta earned himself a deal for his Olympic performance. In just a few weeks playing with the Bs, Wingels and Gionta have already produced more than Vatrano while playing in a similar role. Realistically, they will both primarily be used as depth forwards if injuries continue to arise and so far, they have done a spectacular job, they may even secure a spot in the bottom-six. Vatrano was expected to be a lock in the Bruins’ lineup but that just wasn’t the case. If Vatrano had been an experienced veteran, it would have made sense to keep him for depth. Yet, he only skated in a handful of playoff games last season and did not have a place on this squad. Management made the right call bringing in veterans to replace him. In the short term, this deal won’t leave a mark on the Bs. The Bruins are in win-now mode, so they needed to build a roster that gives them the best chance to make it happen. They made a handful of strong acquisitions at the deadline that have already helped. If they continue to play at this pace, there is a good chance the Stanley Cup will be back in Boston. If Vatrano ends up finding his game and becomes a strong player for the Panthers, this will be an excellent move for them. This is the perfect gamble for a team that is on the brink of becoming a playoff club. Of course, if he lands in their top-six, he could haunt the Bs in the future as a member of a division rival. With that said, time will determine the importance of this deal for both clubs. The ball is in Vatrano’s court.